Fantastic handling for a 3-row, 7-seat SUV. Reduced body lean driving through twisty canyon roads. Drives like a much smaller vehicle. Roomy and attractive interior is super comfy. Love the satin wood trim and contemporary styling. 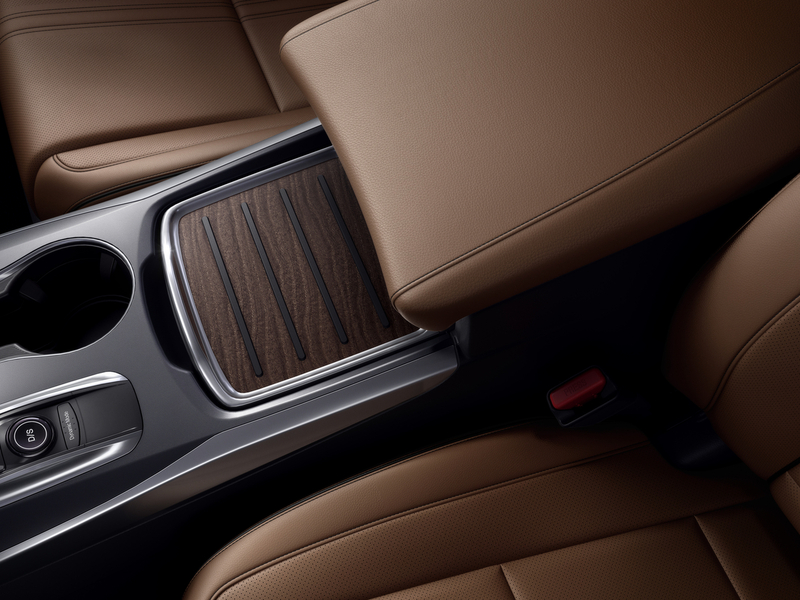 Contacting color piping on the (optional) soft leather seats is pretty and premium looking. 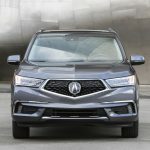 Though the EPA fuel economy is set at 27 mpg (combined city/hwy) for the 2018 Acura MDX Sport Hybrid, our full day of driving gave us just a bit over 21 mpg, according to the Acura’s onboard computer. Storage behind the third row seat is ample enough for a large grocery run or even a modified warehouse shopping run. Second and third-row seats lie flat to give an enormous rear cargo bed. 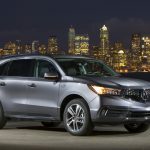 The new Acura MDX Sport Hybrid costs $1,500 more than the gasoline version of the MDX. 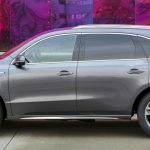 That may sound like a lot, but consider you’ll get about 5 mpg more in the hybrid; that’s an average savings of about $400 annually in fuel costs. 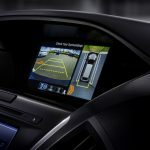 So after three-and-a-half years of driving, you’ll recoup the added cost of the hybrid and begin to pocket the savings. A new 7-speed dual clutch makes for very smooth gear shifts. 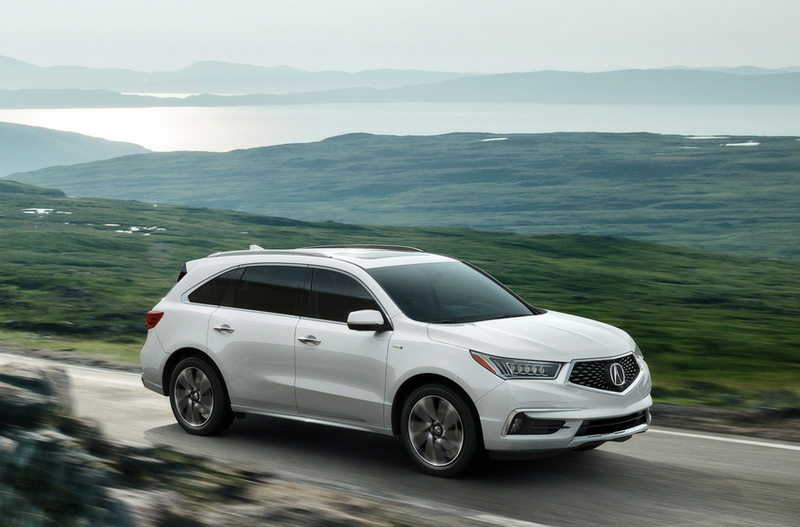 You’ll barely notice as the vehicle moves through its gears, which contributes to the MDX Sport Hybrid’s excellent handling prowess and refined ride. 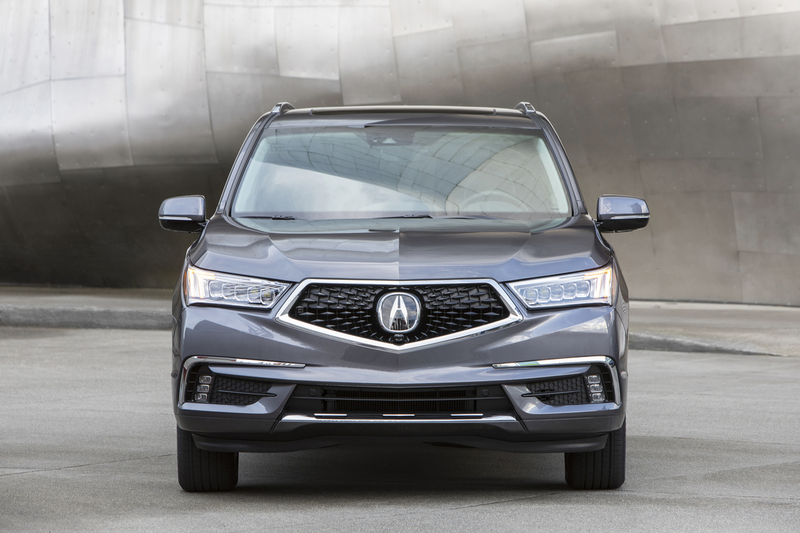 If you don’t need seating for seven but prefer to give enhanced comfort to five of you instead, consider going for the top-of-the-line Advance Package. Here you’ll get two heated Captain’s chairs and center console in the second row, in place of a three-person bench. This package also includes super-soft Milano leather with contrasting color piping. Very chic! A lovely satin wood trim, large 20″ wheel, a surround-view camera, and several other premium features, are also part of the Advance Package. 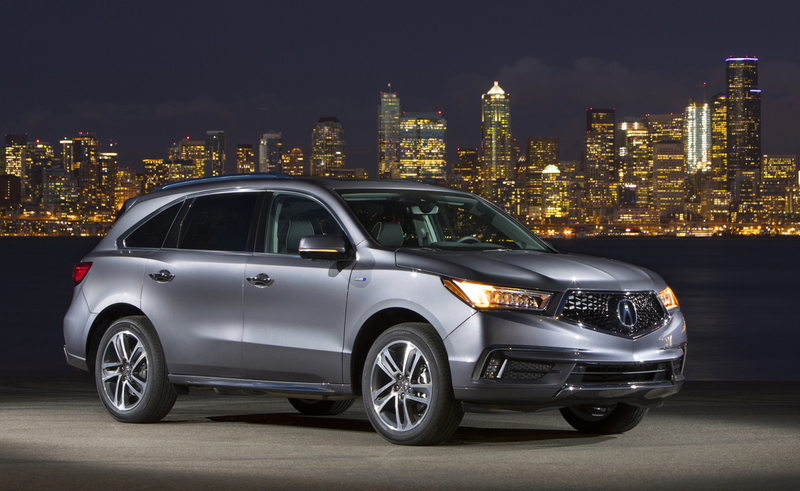 The package adds about $6,000 to the cost of the MDX Sport Hybrid’s base price. AcuraWatch comes standard. 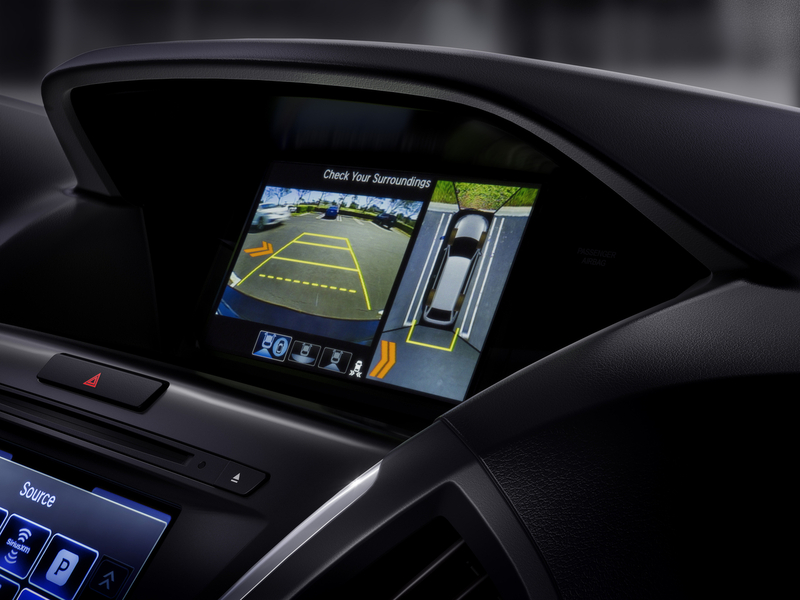 It includes for free a variety of advanced active safety technology usually offered as expensive options. Drive in EV Mode (using only the car’s electric power) at parking lot speed, saving gas when cruising at low RPMs. 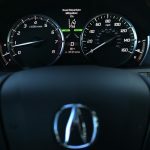 Four driving modes are accessed through a toggle switch. 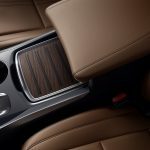 Choose Comfort, Normal, Sport or Sport Plus depending on your mood and road conditions. 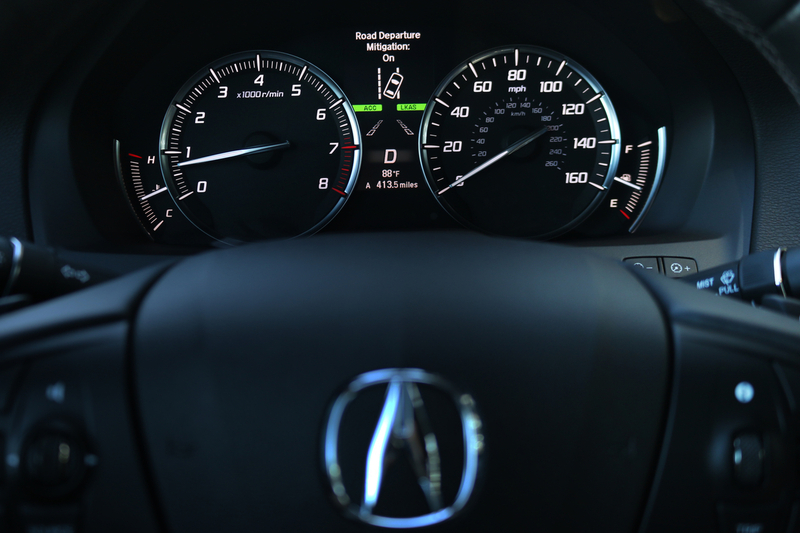 Each of these modes activates changes in the MDX’s chassis, throttle response, steering tautness and exhaust sound. 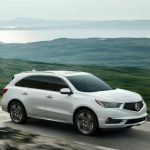 The 2018 Acura MDX Sport Hybrid doesn’t just look sportier than the gas version MDX – though I do love its fun Sport-inspired aluminum pedals – it is indeed sportier, with 31 more horsepower and added technology that allows for quicker safe driving. I was stunned how well this large SUV carved through twisty canyons with minimal body lean or sway. Loved the pep, the comfort and yes, sporty ride.